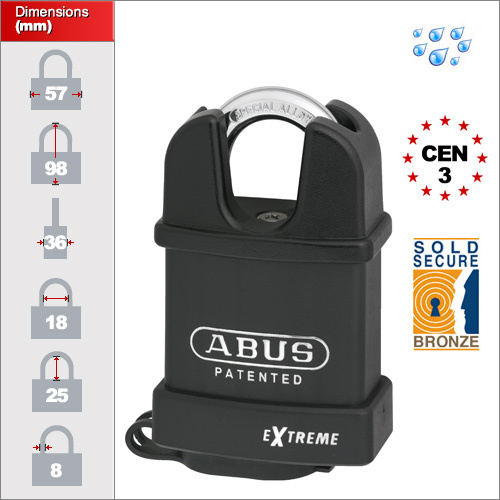 The ABUS Extreme range has evolved from their 83 series which led the way in high security padlocks. 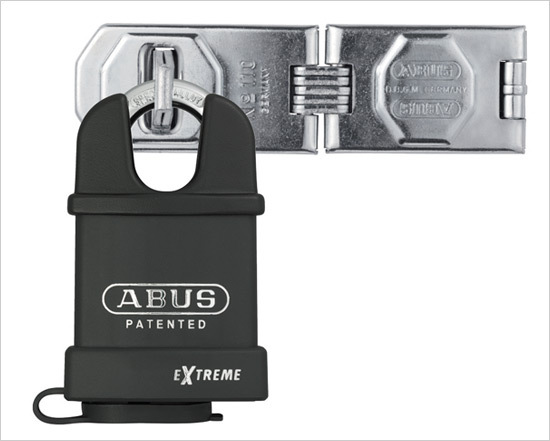 These Extreme use the same technology in terms of high security features such as ball baring locking which prevents level and force torsion attached with crow bars. They also use special anti-pick barrels and hardened alloy steel shackles. This lock comes with two keys per padlock. If you require more than 2 keys please order the 'keyed alike' version and include additional keys from the menu on the left afterwards or simply click here. 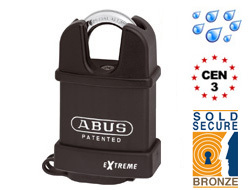 Please note this lock uses the standard keys rather than the special restricted ABUS plus keys. We only have one size of this closed shackle model but two sizes in the open shackle design. Please see the previous page. The Extreme range has been tested in the most rigorous conditions. Although ideal as a high security lock both indoors and out, it is especially suited to exposed conditions and saline environments. The closed shackles make it especially difficult for bolt cutters to reach and crop the shackle which is inherently the weakest part of the lock.